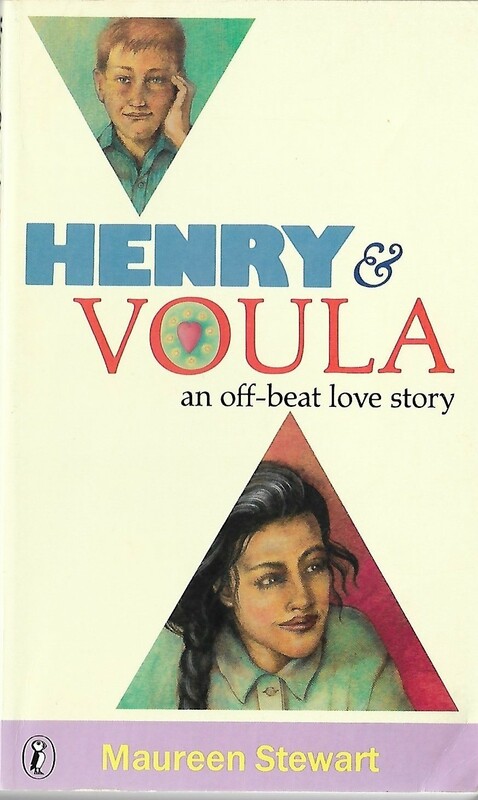 Henry and Voula by Maureen Stewart is the story of two lovesick teenagers. Fourteen-year-old Henry has a huge crush on Greek girl Voula, so he sneaks a letter into her art portfolio asking for her help in a project about Greek culture. The two start a letter exchange which leads to love. The two characters are adorable, and I believed in their love story. Henry is melodramatic, neurotic and deeply infatuated with Voula. He’s lovesick on her, getting hives every time at the slightest inkling of disapproval or set back from Voula. Voula is the most sensible of the pair. She’s delighted but cautious about the relationship. Her parents don’t want her to date and they wouldn’t approve of Henry because he’s not Greek. I have a thing for YA books from the 80-90s and I bought this book from a Lifeline store for a dollar. There’s short message written at the front, it was a Christmas present for a girl named Barbara in 1993. I thought this book was very cute and reminded me of high school. The love story is very innocent, puppy love stuff. They pass notes to each other and meet in the library. They don’t even kiss or hold hands. I could relate to Voula and the gender inequality that she faced in the story. She is not allowed to date because she’s a girl. However, her brother is allowed to date because he’s boy. Voula is forbidden from socialising with boys and her family call to check where she is at all times. They are worried that if she socialises with boys, she’ll disgrace the family by getting pregnant or a bad reputation. My parents were also worried about me socialising with boys when I was growing up, but I wasn’t forbidden from dating anyone. I didn’t date anyone in high school, so it wasn’t an issue. The book is rather short but there is a sequel which finishes the story off. One could finish the book in a few minutes. I’ve read the sequel too. It seems like the story was just cut in half. The book is no longer in print but look for it online, in the library or in a thrift shop.